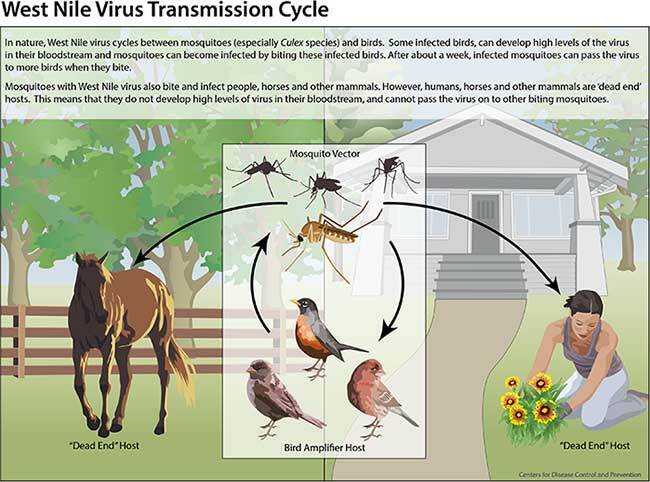 West Nile virus (WNV) is most commonly transmitted to humans by mosquitoes. The most effective way to avoid West Nile virus disease is to prevent mosquito bites. Be aware of the West Nile virus activity in your area and take action to protect yourself and your family. There are several mosquito species found in Illinois. WNV is predominately transmitted locally by the Culex mosquito. Culex mosquitoes feed between dusk and dawn and do not fly far from where they develop.